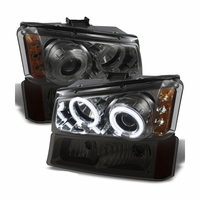 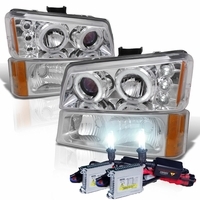 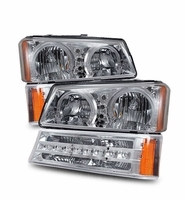 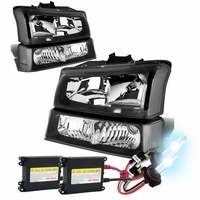 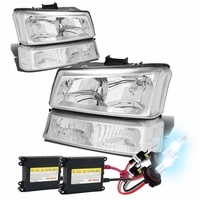 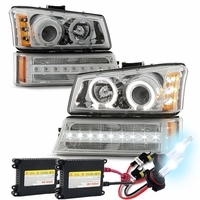 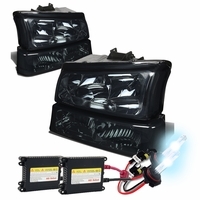 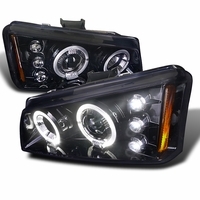 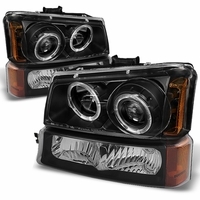 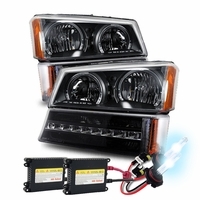 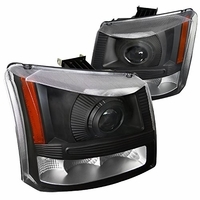 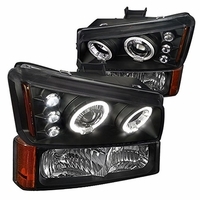 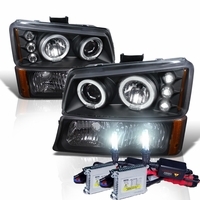 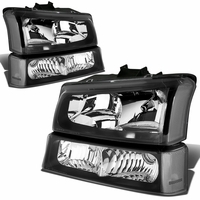 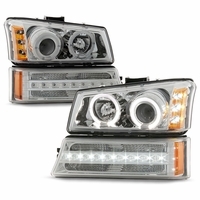 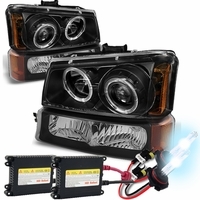 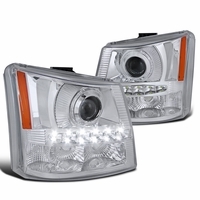 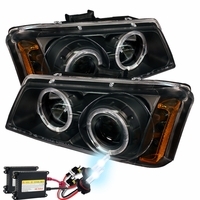 Looking to upgrade your Silverado OEM headlights to innovative projector headlights. 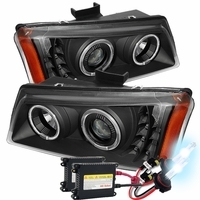 All our halo projector headlights are high quality featuring Angel Eye Halo plus LED driving lights design. 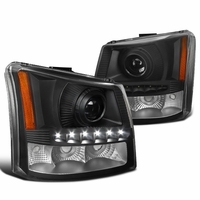 Give your Chevy Silverado the finishing touch with black or chrome housing projector headlights that essence the front end looks and appearance. 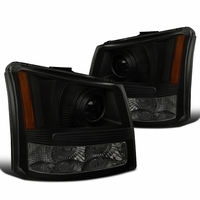 Provide the truck that aggressive and mean look. 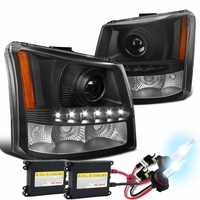 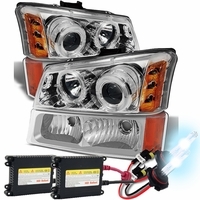 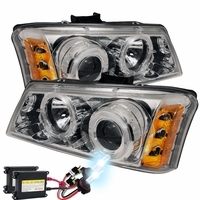 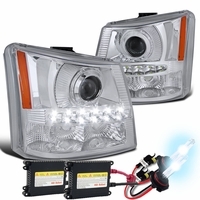 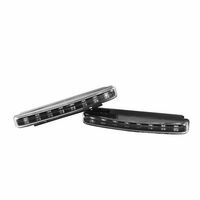 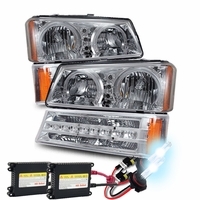 Direct plug and play installation design that let you easily install this headlights. 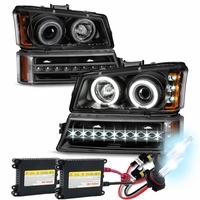 Using the same mounting point and install design of the OEM headlights will ensure flawless and precise fitment. 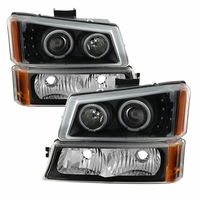 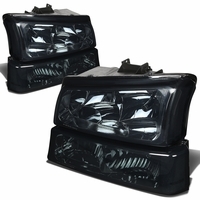 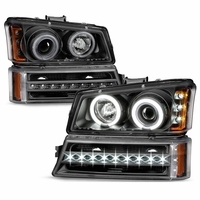 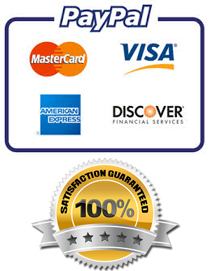 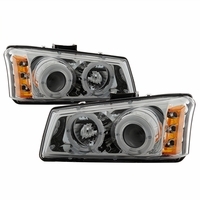 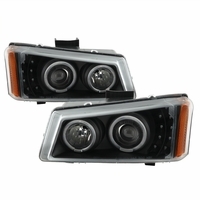 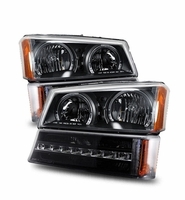 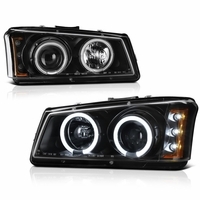 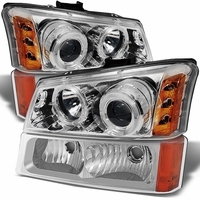 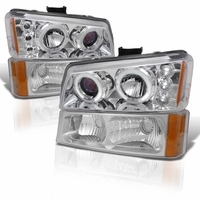 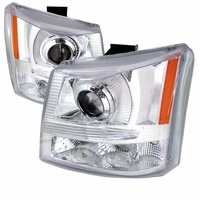 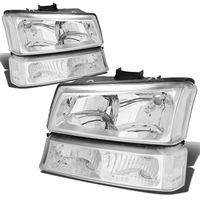 All of our Silverado projector headlights are 100% DOT / SAE approved to guarantee highest quality.